Pembroke Dock Community School was a pilot school for WNHSS in 1999 and has continued to work tirelessly to achieve the indicators set out by WNHSS, progressing steadily through the 5 phases and achieving the prestigious National Quality Award (NQA) in July 2009. The school was the first primary school in Wales to achieve the NQA. The school has been successfully reassessed three times, in 2011, 2013 and 2015. 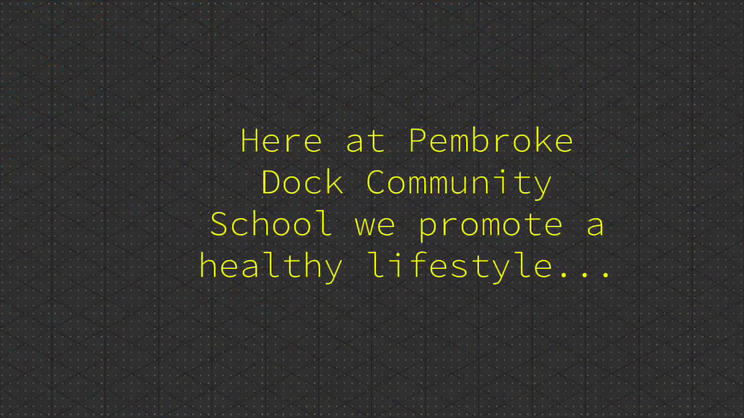 Pembroke Dock Community School prides itself on its ‘whole-school’ approach to the work that it undertakes to promote the health and well-being of its pupils. The school follows all guidance and advice issued at Healthy School coordinators meetings, enabling the whole school to focus its work which then directly impacts on the overall well-being of pupils. Mental and emotional health and well being of pupils are considered by the school to be central to effective learning, regardless of their socio-economic background. Pupils are annually assessed in PASS (Pupils Attitudes to Self and School) with each pupil being monitored to ensure the necessary provision is made available for their well being. Pyramid clubs are organised to help pupils to fulfil their potential in school and in life by building their self-esteem. The clubs provide a safe place for the children to rehearse their social skills and gain in confidence and self-esteem within an accepting group. All pupils have opportunities to actively participate in decision-making in the school through Class Council and School Council, Super Ambassadors, Young Leaders, Digital Leaders, Criw Cymraeg, Pupil Learner PLC, School Nutrition Action Group (SNAG), Junior Road Safety Officers (JRSO), Bike It Crew, Playground Buddies, Young Restorative Practice group and Eco-Committee. Many school staff - teachers, support staff, governors, catering manager and site manager - assist pupils in the organisation and managing of their committees. Pupils participate in deciding on actions required, depending on the wants and needs of the school, consulting, adopting and delivering the actions. Pupils are involved in the process of writing appropriate policy documents. PDCS is a school that teaches values and seeks to promote a way of life based on valuing self, others and the environment. Pembroke Dock Community School has recently been awarded the Pupil Participation National Kite Mark for its outstanding work. As a Healthy School the school regularly reinforce the message of healthy eating and that pupils need to make the right choices. SNAG is responsible for planning activities throughout the year to reinforce healthy eating. They plan and organise food taster sessions, ‘special-day’ menus, invitations to parents to join their children for lunch and the selling of fruit. The ‘Cook It’ club programme has proved to be a great success. The extra curricular after school club staff work with the pupils to produce simple healthy food. The older pupils help the younger children and together they learn many new skills. The school fully understands that exercise is essential to a healthy life style. Pupils are encouraged to participate in ‘out of school learning’ activities in addition to the PE curriculum. Many pupils attend numerous sports clubs after school. They thoroughly enjoy the programme of activities, which runs throughout the year. Whole school planning in areas such as Substance Use and Misuse, Safety, Hygiene, Personal Development and Relationships has been developed and is now embedded, demonstrating progression throughout the school and ensuring continuity and coverage. The school uses many valued agencies to assist them in the delivery of specialised areas of the Healthy Schools indicators. The schools Police Liaison Officer delivers a programme of exciting and informative activities to pupils. Specialist services such as dental nurses, school nurse, community police, and counselling service all ensure that the pupils are appropriately informed and all their needs are met. The school was awarded the Eco-Schools Platinum Award in 2008. The school coordinators for Healthy Schools, Eco Schools and Education for Sustainable Development and Global Citizenship believe that these are all closely linked and that they impact on each other. The benefits to the pupils, staff and community over many years, by progressing steadily through the phases of Healthy Schools, has had a significant impact on the whole school community. Pupils are very aware that they need to ensure they should make the right choices in their lives; they are becoming independent learners who relish challenge and know that their voices are heard and valued. The parents are proud of their children’s achievements, gained confidence and self esteem by being involved with Healthy School initiatives. The school prides itself that staff and pupils are a whole school community working together to be a ‘Healthy School’, ensuring that all feel happy, cared for, valued, respected and successful. Pupils are proud of their contributions, key roles in decision making and participation, the changes they have made through their actions and their improved knowledge of living a healthy lifestyle. These are all areas which have enhanced their lives. 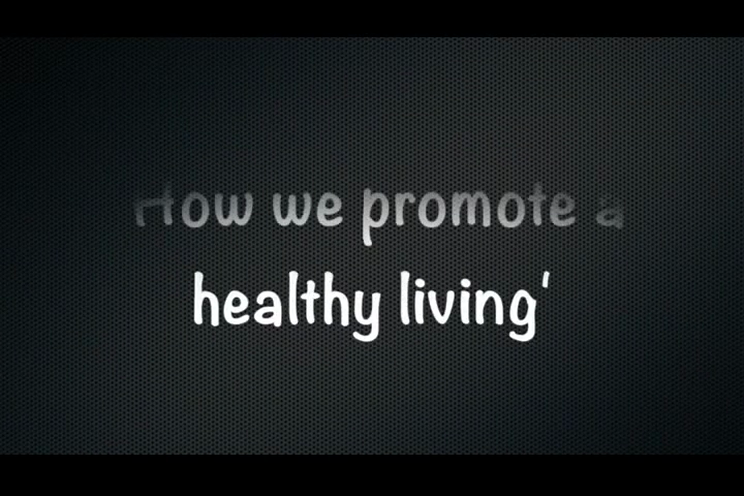 Pembroke Dock Community School is indeed a Healthy School!